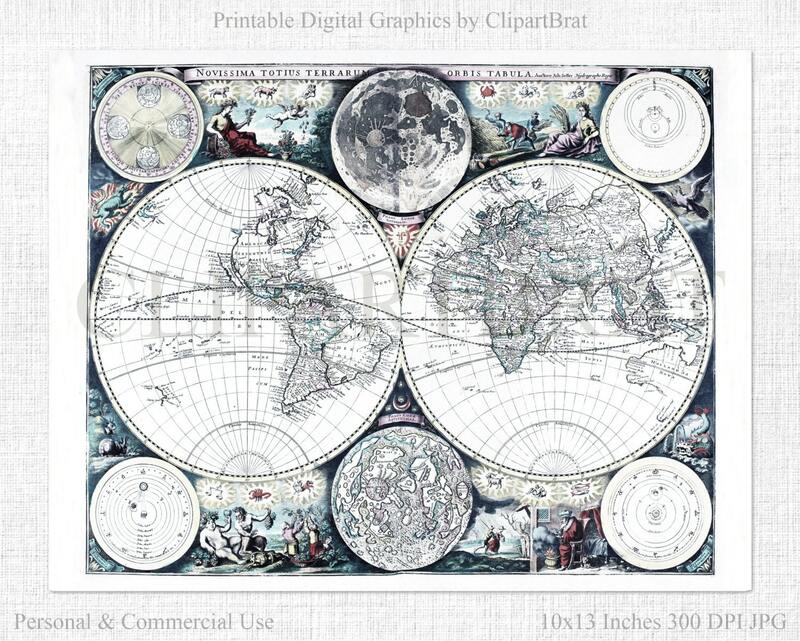 ANTIQUE WORLD MAP SEA ATLAS MAP PRINT Commercial Use Ok WORLD Map Sea Atlas, Plus Lunar Phases and Astrological Charts and Diamgrams. 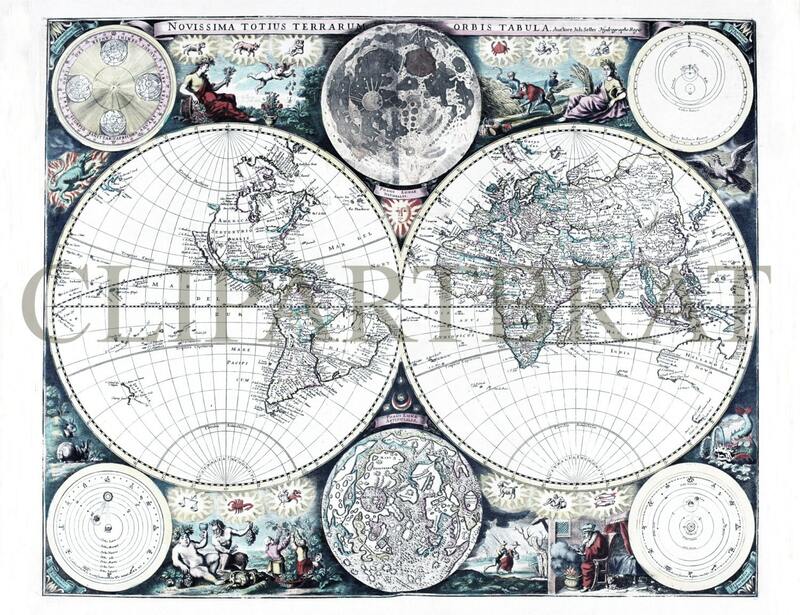 From the year 1672 Antique Map. For personal and COMMERCIAL USE! No strings attached! Our clipart can be used for anything, any purpose. No need to ask! The ONLY thing not allowed, is to redistribute, share, or sell the actual images, as purchased, directly in any way.